Above, negotiating a traverse trail at Camelback. Pennsylvania is seldom thought of as a ski destination. Virtually every ski area will remind you of a ski area somewhere else — and here’s the hook — some of the places that come to mind are quite good. Because of the relatively small size of most Pennsy ski areas, combined with the large skiing population, some areas can become incredibly crowded on weekends. Because most are day-trip ski areas and not destination resorts, the smart money is to arrive early — before the place opens. To arrive at some Pennsylvania ski areas at 10:00 am on a Saturday is to experience untold levels of frustration, from parking to ticket lines to liftlines. And if you’re renting skis, it is almost always better to rent off-mountain (unless noted in the listing). Specs: Summit elevation: 1150′; Base elevation: 600′. 3 Lifts: 2 quads, 1 double. Uphill Capacity: 5800/hr. Terrain Mix: 17-55-28. Longest Run: 3500′. Season: usually December through mid March, 7 days. Rentals. Night Skiing Fri-Sun & holidays. Annual Snowfall: 50″. Snowmaking: 100%. 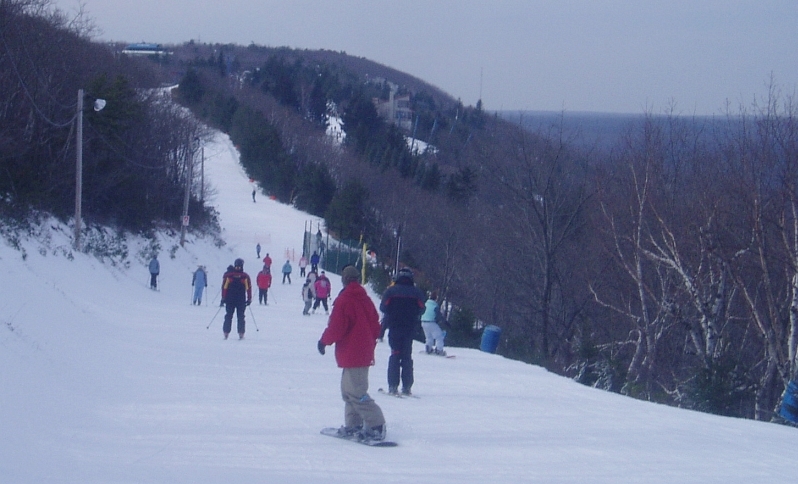 The SKInny: Small ski area in the heart of the Poconos. Good spot for families, novice/intermediates, etc. Liftlines are generally a lot shorter than the other Pocono areas, but then again, the trails are too. Unless you happen to hit a very busy weekend, this is a terrific place for avoiding the crowds at some of the neighboring areas. Ticket lines and rental shop are usually extremely efficient. I really don’t think you ski on 120 acres here, but don’t let that turn you away. Experts will be bored out of their skulls at Alpine, but other than that it is extremely enjoyable. When Camelback is bursting at the seams, this is the ski area for the “country mouse.” Alpine is not presently operating. We will maintain this listing for another season or two just in case something changes. Specs: Summit elevation: 1110′; Base elevation: 600′. 7 Lifts: 1 Triple, 3 doubles, 1 rope tow, 2 magic carpets. Uphill Capacity: 6600/hr. Terrain Mix: 30-40-30. Longest Run: 5280′. Season: December through mid-March. Night Skiing 7 days. Annual Snowfall: 40″. Snowmaking: 100%. The SKInny: Formerly called Doe Mountain, which had its share of troubles. New management runs a decent little mountain for beginners and novice skiers, affordably priced. Lines are generally short but can get long due to proximity to major Eastern PA population centers. Notable about Bear Creek is that it has one of the nicest base lodge facilities in the Mid-Atlantic region, and it’s quite popular for catered events. Specs: 5 Lifts: 3 doubles, 2 surface. Uphill Capacity: 3500/hr. Terrain Mix: 38-43-19. Longest Run: 4500′. Season: December through mid-March. Closed Tuesdays. Night Skiing Weds-Sat. Annual Snowfall: 60″. Snowmaking. The SKInny: Here’s an upside-down resort with seven or eight interesting trails. Nothing challenging, but sure has some nice long runs for a 650′ vertical. If you enjoy long, mellow cruisers, this is an outstanding, uncrowded, old fashioned ski area. It’s a good destination for early morning holiday weekend skiing — as long as they sell that morning ticket, that’s your pick. Place begins to fill up when vacationers roll out of bed around 11:00 AM, and by noon it can be crowded. At that point you’re probably bored out of your skull anyway. Specs: Summit elevation: 2275′; Base elevation: 1700′. 7 Lifts: 2 triples, 5 doubles. Uphill Capacity: 9600/hr. Terrain Mix: 40-35-25. Longest Run: 6,400′. Season: usually mid December through mid March. Night Skiing 7 days. Rentals Annual Snowfall: 65″. Snowmaking: 100%. The SKInny: Lots of snowboarders, lots of people, lots of old lifts. Like most Pocono skiing, if you don’t harbor dreams of Vermont (or even the Catskills for that matter) and go with a positive attitude, you’ll have a good time. Recognize that it will feel crowded. Boulder has great snowmaking, caters heavily to the park & pipe crowd…but that’s ok: Sister ski area is Jack Frost, which is generally regarded as the better of the two for skiers. Specs: Summit elevation: 3146′; Base elevation: 2074′. 6 Lifts: 2 Triples, 2 doubles, 2 surface. Uphill Capacity: 4,000/hr. Terrain Mix: 29-33-38. Longest Run: 10,560′. Season: December through late March. Night Skiing 7 days. Annual Snowfall: 100″. Snowmaking: 95%. The SKInny: Here’s another of the fighting five vying for second banana honors. When everything is working and conditions are “on,” the Knob has it — solidly 2nd and maybe once in awhile stealing 1st. Snowmaking is semi-suspect…when portage country snows don’t deliver, however, it ranks 3rd or 4th in Pennsy. Blue Knob is in the high country just southwest of Altoona, on the massive, largely unbroken folded ridges that kept growth of the USA in check for many years. People don’t expect Vermont sized hills in Pennsy, but here it is, although the vertical keeps it in the “mid-sized” category. It certainly has some Vermont characteristics: Mind numbing cold, powder one day, ice the next, wind and more wind. But that’s part of skiing…right? Wanderers can keep reasonably busy, and hotshots will be pleased. It’s a skier’s mountain, a pleasant surprise in Central PA. Lots of glades and room for adventure when the snow is right; easily equal to the mid-sized Vermont resorts on exceptional days. Blue Knob is a bit quirky in layout; neither regular nor “upside down,” the baselodge area is at mid-mountain. Specs: Summit elevation: 1600′; Base elevation: 580′. 7 Lifts: 1 quad, 1 Triple, 5 doubles, 1 t-bar, 1 rope tow. Uphill Capacity: 9,000/hr. Terrain Mix: 44-30-26. Longest Run: 6400′. Season: December through mid-March. Night Skiing 7 days. Annual Snowfall: 30″. Snowmaking: 100%. The SKInny: Formerly known as Little Gap Ski Area. Blue takes credit for the largest vertical in PA. It’s a decent mid-sized mountain, suffers only from not enough natural snow and not enough steep. Considering how close it is to Philly and Allentown/Bethlehem, Blue does a great job of keeping things relatively skiable and keeping the lines moving reasonably well. It has two “faces,” but doesn’t quite have enough to keep the true wanderer happy. The hotshot will find it only mildly interesting; the rest of us will thoroughly enjoy Blue when conditions are reasonable. As Pennsy ski areas go, Blue can make a strong case for being in the pack of five that are fighting it out for second place. We should probably put Blue 4th or 5th. Specs: Summit elevation: 1232′; Base elevation: 1072′. 5 Lifts: 2 doubles, 1 poma, 2 handle tows. Uphill Capacity: est. 2500/hr. Terrain Mix: 75-25-0. Longest Run: 1300′. Season: December through mid-March. Night Skiing 7 days. Rentals. Annual Snowfall: 70″. Snowmaking: 100%. The SKInny: Operated by Allegheny County, kept open through the vigilance of the local skiing community. Bravo! Every county should have a Boyce Park. As local tows go, this one is fabulous. Update: Had some lift issues during the 2010-2011 season, no injuries, ski patrol and lift ops handled everything professionally. Turns out the off-ramp was pitched incorrectly, and passengers lingered too long on the chairs which pulled the rope improperly and made things all hinky. Engineers came in, made some changes, updated the guide wheel and sheaves, and it’s good to go. So don’t believe the rumors, Boyce Park is terrific. If you’re ever in the neighborhood, stop in and make a few runs. We need to support our small local ski areas. Upside for us is that when we visit these little places, we get to see kids having a blast skiing on whatever crappy gear they happen to have, which is a good thing to remember when we’re whining about something stupid. Specs: Summit elevation: 2050′; Base elevation: 1239′. 13 Lifts: 2 quads, 3 Triples, 7 doubles, 1 surface. Uphill Capacity: 18,600/hr. Terrain Mix: 7-54-39. Longest Run: 6000′. Season: early December through mid-March. Night Skiing 7 days. Annual Snowfall: 30″. Snowmaking: 100%. The SKInny: At 800′ vertical Camelback is at the upper end of small ski areas; the sheer number of trails — call it good horizontal — put it solidly in the mid-sized ranks. While the quantity of trails are terrific, it is the lack of vertical that Camelback takes a rap for among serious skiers. “Too easy” and “not enough steep” or “no challenges” are common complaints from hotshots. OK, then, most of us aren’t hotshots. Regulars are fond of saying that “Camelback has great horizontal.” Make no mistake, the black diamond trails have some kick, just not enough of it. Wanderers will like Camelback, families will love it, and the strong blue skier will feel like an expert here. Beginners have two dedicated areas and a couple novice runs from the summit. But be advised, the wandering novice trails from the summit have nightmarish numbers of people on them and are NOT for beginners. Remember the tourists? Camelback gets ’em, by the busload. An abundance of lifts keeps them moving around, so lines are nowhere near what they could be. Show up early & yo-yo the express chairs until the crowds arrive, then move to the Marc Antony lift and a couple of the other fixed grips, you won’t wait in line much at all. If Camelback had the vertical it would contend for Pennsy’s top spot. As it is it ranks 4th or 5th, because of its number of trails and lifts. Sometimes CBK is blessed with “Pocono Pavement,” but that’s usually after spotty weather or heavy traffic on the turnpike type trails. The snowmaking crew does a good job of getting every trail open, and open quickly. How many resorts can claim that? If you go on a weekend, go early. Lines at the ticket window are often 30 minutes long at 10:00 AM; lines at the rental window are often terminal at that time. Hey if you’re a fan of or regular skier at Camelback, you really ought to check out a book called Camelback: The Downs & Ups of a Banana Belt Ski Area , which is written by Jill Wechsler, a tremendous history book about the development, successes, problems, and growth of Camelback through the years. Even if you’ve never skied at Camelback, the history in this book is fascinating. Did you know that the original trail layout was done by US Ski Hall-of-Famer Walter Foeger, and the original lodge was designed by legendary ski architect Sandy McIlvaine? Excellent book with hundreds of pictures. Even though the book was published in the 1980s, it’s an excellent read, the book is just very hard to find. This link goes to amazon.com, where you can usually find a used copy. Otherwise, it’s out-of-print and unavailable. Crystal Lake Ski Center, Hughsville has discontinued downhill skiing. Specs: Summit elevation: 2400′; Base elevation: 1750′. 5 Lifts: 2 chairs, 3 surface. Uphill Capacity: 2,500/hr. Terrain Mix: 35-35-30. Longest Run: 5280′. Season: December through mid-March. Night Skiing. Rentals. Annual Snowfall: 100″. Snowmaking: 95%. The SKInny: Nice little ski resort in the middle of nowhere. Lots of snow, not many people — excellent combination and mix of trails on a small mountain. With a little more vertical and elbow room this would be a solid top five; maybe it is anyway. CLOSED 2014 the link above takes you to the Commonwealth’s State Parks page for Denton Hill (the ski area was on state park land). If you would like to take over a ski area, there is information on that page including a feasibility study and such. Specs: Summit elevation: 1810′; Base elevation: 1300′. 4 Lifts: 3 doubles, 1 t-bar, 1 rope tow. Uphill Capacity: 4,000/hr. Terrain Mix: 60-10-30. Longest Run: 3277′. Season: December through mid-March. Thurs-Sun. Night Skiing Thurs-Sat. Rentals. Annual Snowfall: 20″. Snowmaking: 100%. The SKInny: Here’s an “upside down” area in the heart of coal country. A golf/four seasons resort with a decent little ski area. Not much for the wanderer or hotshot, but it is the only game in town. With Camelback and Jack Frost close by, Eagle Rock is seldom overcrowded. 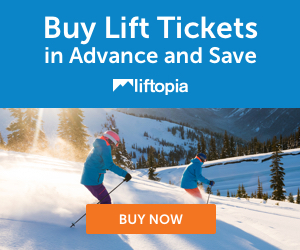 Liftlines are short even during holiday periods. The snow product is good, the lodge is pleasant, the trails are loads of fun but REALLY short. Specs: Summit elevation: 2693′; Base elevation: 1693′. 6 Lifts: 1 quad, 5 doubles. Uphill Capacity: 6,500/hr. Terrain Mix: 25-30-45. Longest Run: 9,240′. Season: early December through late March/early April. Night Skiing 7 days. Annual Snowfall: 60″. Snowmaking: 95%. The SKInny: Number one. Elk is a cut above every other ski area in Pennsy, for conditions, challenge, length of trails, quality of snow, and variety. With few run-outs and lots of snow, Elk is sort of a New England ski area plopped down in northeast Pennsylvania. Plenty of long, sweeping trails for the novice, right next to some hot drops for hotshots. The trail map doesn’t look it, but the wanderer will keep busy for a full day and still not hit every nook and cranny. Bump runs for those who want them, groomed cruisers, groomed steeps, winding turnpikes. And the terrain park is segregated with its own surface lift! So with all this good, why isn’t Elk a household name among skiers? Mainly because of its Endless Mountains location…some say Elk isn’t at the end of the world, but you can see it from there. Like every ski resort, Elk has its quirks. The ticket window is about a quarter mile away from the parking lot. No problem, really, except that it is straight up a cliff, and rather unpleasant to hike carrying your gear. As there is no valet parking (remember this is Pennsy) the resort graciously provides a converted haywagon/cattle cart to ferry you up the hill. Some find this charming. I’ve ridden it — it is not charming. The only other downer at this otherwise great ski area is an undersized base lodge offering Pennsylvania food. Pass the yellow mustard, skip the night skiing. Hey, we’re picking the mosquito poop out of the pepper here. Elk reigns supreme in Pennsy…and holds its own against a lot of New England resorts as well. In terms of snow conditions, Elk is consistently better than many New England resorts. It’s true. Wait until January, and check the snow reports. Elk catches the very end of many “lake effects” storms as they mutate across southern NY & northern PA. Once it gets that first dump of the season, you’re good to go. Thing to know in advance is that the lifts at Elk are sllloooowww. Very slow. Liftlines aren’t usually bad, but you do spend most of your day riding lifts. Upside is that all but the novice and lower intermediate slopes are generally empty — heck, everybody’s riding on the chairs. Specs: Summit elevation: 3000′; Base elevation: 2390′. 9 Lifts: 1 quad, 2 Triples, 3 doubles, 3 rope tows. Uphill Capacity: 12,000/hr. Terrain Mix: 28-52-20. Longest Run: 5800′. Season: early December through late March. Night Skiing 7 days. Annual Snowfall: 160″ (?!). Snowmaking: 100%. The SKInny: Nice novice/intermediate resort, generally uncrowded, good for beginners. Equipment is a bit older than most, so the reputation is “resort in decline.” A Ski Area is a tough business. Looking beyond the infrastructure, the four hills are plentiful for the wanderer, but the hotshot will be positively bored. As small hills go it has a number of good runs for developing skiers. Specs: Summit elevation: 2000′; Base elevation: 1400′. 8 Lifts: 1 quad, 3 Triples, 4 doubles. Uphill Capacity: 11,000/hr. Terrain Mix: 20-40-40. Longest Run: 2700′. Season: early December through mid-March. Annual Snowfall: 50″. Snowmaking: 100%. The SKInny: Jack Frost ranks just under the top five Pennsy ski areas. It’s a bit crowded, the trails tend to be less than challenging, grooming keeps things fairly unexciting. Wanderers and hotshots will be better off here than at the sister ski area, Big Boulder, although BB is becoming more and more park & pipe oriented. Jack Frost a “big” small ski hill, great for the average non-adventurous skier. It’s got a couple of trails that dive toward the creek in the valley below that present a challenge. Specs: SCHEDULED TO RE-OPEN 2016-17 Summit elevation: 2800′; Base elevation: 1860′. 4 Lifts: 1 quad, 1 double, 2 handle tows. Uphill Capacity: 3,000/hr. Terrain Mix: 35-35-30. Longest Run: 7900′. Season: early December through mid-March. Annual Snowfall: 100″. Snowmaking: 100%. The SKInny: Laurel is recently returned from the “lost” ski area category, but then went back into the land of the lost. Something going on here. When it comes back, if it comes back, here’s our take: Featuring an “upside down” layout, Laurel is a good ski area for families, novice/intermediates, anyone looking for a fun ski day without overwhelming challenge. Because we’re always encouraged by reopened resorts, we encourage anyone who can to take a few turns at Laurel. Also has a mid-mountain snackbar/cabin, which is one of those way cool things only a few resorts can boast. Specs: Summit elevation: 1400′; Base elevation: 800′. 8 Lifts: 4 quads, 1 double, 1 j-bar, 2 magic carpets. Uphill Capacity: 10,800/hr. Terrain Mix: 40-35-25. Longest Run: 5280′. Season: early December through mid-March. Night skiing 7 days. Annual Snowfall: 45″. Snowmaking: 100%. The SKInny: Ski area has been a mainstay in southern Pennsy, gets crowded with F’burg & DC area school kids afternoons/evenings. Some challenging terrain, reputation for ice. All-in-all pretty decent as small mountains go. Specs: Summit elevation: 2000′; Base elevation: 1000′. 7 Lifts: 5 doubles, 2 surface. Uphill Capacity: 5,000/hr. Terrain Mix: 38-29-33. Longest Run: 6246′. Season: early December through mid-March. Annual Snowfall: 160″(?!). Snowmaking: 100%. Night skiing. The SKInny: It’s back with the original Montage name and with a new ownership group aggressively making improvements. Montage is a semi-urban ski area and is certainly among the top five areas in the commonwealth. In terms of cost it’s unbeatable; availability of a discounted morning ticket on weekends makes it an outstanding value. Trails are decent, plenty of variety, and the “mid mountain” base lodge makes it all interesting. Just above the lodge is a nice long novice area, bordered by a number of equally nice (if perhaps a bit too similar) groomed cruisers. This is all along the ridge top. Below this, and at lower elevation than the lodge, is a natural bowl where the blacks and double blacks are kept. Snowmaking and grooming are good, and two of the three double blacks are usually left to bump up. A couple trails are super steep, but this is a headwall” situation in the bowl. The steeps are neither long nor sustained, but make no mistake, the bump runs like White Lightning are NOT for intermediates. Doesn’t have the sustained pitch nor quite the conditions found at nearby Elk, but it’s got a lot more than Elk has for novices and emerging intermediates. It’s really a great ski area for intermediates. Proximity to interstate highways and Scranton is convenient, and a lot of people agree, so sometimes Montage gets crowded. But, in general, liftlines aren’t usually an issue. This is one of those ski areas where the “back yard syndrome” definitely plays a role…when Scranton/Wilkes-Barre folk don’t see snow in their back yard, they don’t think of skiing. But when you see the valley filled with snow, you can bet Montage will be crowded. Very pleasant atmosphere as “urban” ski areas go. Specs: Summit elevation: 1930′; Base elevation: 1480′. 3 Lifts: 1 triple, 2 surface. Uphill Capacity: 1500/hr. Terrain Mix: 40-40-20. Longest Run: 2640′. Had 90% snowmaking. Specs: Summit elevation: 1550′; Base elevation: 1230′. 3 Lifts: 2 t-bars, 1 poma. Uphill Capacity: 2,400/hr. Terrain Mix: 20-70-10. Longest Run: 2500′. Season: mid-December through mid-March. Night skiing 7 days. Rentals. Annual snowfall: 120″. Snowmaking: 50%. The SKInny: Smallish ski area, with nice trail design, that benefits from lake effects snow. A true skier’s ski area, was operated for years as “Mountain View” by the Edinboro Ski Association. On the verge of closing after the dismal stretch of 2005-2007, a local entrepreneur has taken over and is reopening as Mount Pleasant at Edinboro. Now it’s up to us to make sure it stays open. With the nice runs, excellent snow, grooming, and family atmosphere, there are plenty of reasons to ski here. Specs: Summit elevation: 2030′; Base elevation: 700′. 2 Lifts: 1 quad, 1 surface. Uphill Capacity: 2,000/hr. Terrain Mix: 40-35-25. Longest Run: 2600′. Season: early December through late March/early April, Fri-Mon plus holidays. Night skiing. Rentals. Snowmaking: 100%. The SKInny: Resort complex with a decent ski area. Family/novice skiing. The name pretty much says it all. Specs: Summit elevation: 1400′; Base elevation: 800′. 10 Lifts: 2 quads, 1 triple, 2 doubles, 5 surface. Uphill Capacity: 5,400/hr. Terrain Mix: 35-30-35. Longest Run: 4100′. Season: mid-December through mid-March. Night skiing 7 days. Rentals. Annual snowfall: 35″. Snowmaking: 100%. The SKInny: Now you’re firmly in middle Atlantic skiing…less than 20 miles from the Mason-Dixon line, and the skiing reflects it. Frequently icy, or slushy, or both, Roundtop is one of the closest games in town for the Baltimore-Washington crowd, and on weekends it does draw a crowd. On the positive side, this resort does have some serious challenges for the serious skier. Secondly, the snowmaking team is quite proficient — they have to be. If you’re local, either move north, or be happy with Roundtop. The blacks are about as good as a 600′ ski area can be. Specs: Summit elevation: 2215′; Base elevation: 1700′. 3 Lifts: 1 double, 2 t-bars. Uphill Capacity: 3,200/hr. Terrain Mix: 33-34-33. Longest Run: 3250′. Season: December through late March. Night skiing 7 days. Rentals. Annual snowfall: 45″. Snowmaking: 95%. The SKInny: As Pennsylvania towns go, Williamsport is pretty far removed from everything else. Ski Sawmill, in turn, is an hour from Williamsport, so it’s “out there.” The crowd is mostly Lock Haven/Williamsport locals; not many head to Sawmill as a destination resort. The people who ski “the Mill” are all quite fond of it; simple, rural, uncrowded, and a pleasant day on the slopes for the developing novice/intermediate. As far as “destination resorts” are concerned, Sawmill has lodging facilities, dining facilities, etc., all of which are low-key, affordable, friendly. This is as far from Vail as a ski resort can be, but for the novice family on a budget, that’s a good thing. Everybody likes Sawmill. From our point of view, it’s refreshing to see a ski area tell the truth about its skiable acreage. Specs: Summit elevation: 2990′; Base elevation: 2240′. 18 Lifts: 1 sixpack, 3 quads, 5 triples, 3 surface. Uphill Capacity: 24,600/hr (?!). Terrain Mix: 50-35-15. Longest Run: 6600′. Season: late November through late March. Night skiing 7 days. Rentals. Annual snowfall: 105″. Snowmaking: 95%. The SKInny: Here’s the Hunter Mountain of Pennsylvania: Crowded, partying, big atmosphere, crowded, icy conditions. Did we mention the crowds? As small mountains go, Seven Springs spreads out nicely along the ridge, offering a lot of variety for the wanderer. The hotshot will be ok here as well, when conditions are “on” and the trails are open…not for the challenge, but for the crowds and action. By the same token, the beginner fares just fine. Hey, it’s a big resort, close to the city of Pittsburgh…it’s what you’d expect. If you want legendary skiing, visit Seven Springs on a weekday morning after it snows. The numbers above — provided by the resort — appear to be quite inflated. Specs: Summit elevation: 1350′; Base elevation: 650′. 9 Lifts: 1 quad, 1 triple, 7 doubles. Uphill Capacity: 12,600/hr (?!). Terrain Mix: 25-50-25. Longest Run: 5100′. Season: late November through late March. Night skiing 7 days. Rentals. Annual snowfall: 50″. Snowmaking: 100%. The SKInny: Busy & crowded on weekends; thins out on Sundays and locals “in-the-know” look for discount coupons valid on Sundays. Note that even when crowded, Shawnee does a good job of moving things along. Skiing is targeted to novices and strong blues. As a low-cost destination resort, it does a commendable job. Wanderers and hotshots will be a bit bored. The rest of us will enjoy it, as much as a small mountain can be enjoyed. Generally good place to take a beginner as it offers a sizable segregated area with a couple lifts for developing those lift riding skills. A high speed lift added in 2010 did a lot to alleviate lift lines. Specs: Summit elevation: 528′; Base elevation: 108′. 4 Lifts: 1 triple, 3 doubles. Uphill Capacity: 8,000/hr. Terrain Mix: 40-40-20. Longest Run: 2200′. Season: late November through mid March. Night skiing 7 days. Rentals. Annual snowfall: 20″. Snowmaking: 100%. The SKInny: Ah, but Pennsy skiing will surprise you. 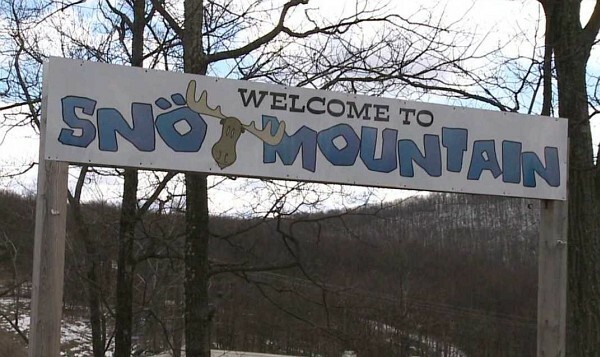 Here’s a dinky little ski area, less than an hour from Philadelphia, and low and behold: Spring Mount is seldom crowded, the lodge is pleasant, and the prices are reasonable. Specs: Summit elevation: 1750′; Base elevation: 1335′. 3 Lifts: 2 doubles, 1 rope tow. Uphill Capacity: 2,500/hr. Terrain Mix: 30-50-20. Longest Run: 5280′. Season: December through mid-March. Night skiing except Sun. Rentals. Annual snowfall: 45″. Snowmaking: 100%. The SKInny: Area is for sale. Modest little resort at Lake Wallenpaupack that “thinks” big. Pleasant atmosphere, easy trails, iffy conditions. Nice lodge, personable instructors and ski patrol…good ski area for beginners and low impact types. Update: the chairlifts, snowmaking, and grooming equipment were sold at auction. Doesn’t look promising for a return. The lifts are headed to NY; one to Plattekill and the other to Kissing Bridge. Specs: Summit elevation: 1810′; Base elevation: 1310′. 5 Lifts: 1 quad, 4 surface. Uphill Capacity: 2700/hr. Terrain Mix: 30-45-25. Longest Run: 4100′. Season: December through mid-March. Night skiing 7 days. Rentals. Annual snowfall: 48″. Snowmaking: 100%. The SKInny: Nicknamed “The Bump,” Tussey rhymes with icy. Proximity to State College gives it a youthful flavor. Even fans knock the conditions, but they keep going back, because the atmosphere is both fun and low-key and that’s hard to beat. The setting is marvelous and the customers smile. That ought to tell you something. Specs: Summit elevation: 1800′; Base elevation: 865′. 6 Lifts: 4 quads, 1 double, 1 surface. Uphill Capacity: 11,200/hr. Terrain Mix: 22-53-25. Longest Run: 4500′. Season: December through mid-March. Night skiing 7 days. Rentals. Annual snowfall: 40″. Snowmaking: 100%. The SKInny: Crowded with an exclamation point. Whitetail is a relatively easy ride from the Balto-Wash megalopolis, and considering it is the newest/latest/greatest of the southern Pennsy areas, it draws the bodies in. It has the ice you’d expect to find, and relatively simple terrain. Wanderers will be more at home here than any place else around. The hotshot will be bored, unless one takes up the challenge of dodging bodies. But hey, considering the conditions and crowds, Whitetail delivers a very good product. The equipment is newish and reliable, the facilities are great. It’s a well-run ski area in the sunbelt, recently purchased by Peak Resorts.